Thomas G. Jeppeson, age 75, of Holland, passed away Wednesday October 4, 2017. He was born in Muskegon, Michigan on August 5, 1942. He married the love of his life (Nancy) on June 27, 1964, they were married for 53 years. He enjoyed hunting and baseball. Mr. Jeppesen was preceded in death by his parents, Sophus (Viola) Jeppesen. 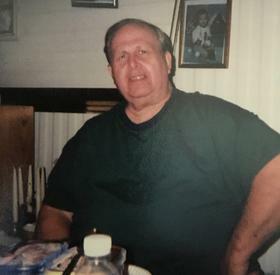 He is Survived by his loving wife, Nancy Jeppesen; sons, Kendall (Danielle) Jeppesen of Muskegon, MI, Keith (Connie) Jeppesen of Brooksfield, FL; grandchildren, Caiden, Devin, Brach, Brennen; sisters, Dorthea Alysworth of Muskegon, Michigan, MaryBell (Dennis) Foster of Phoenix, Arizona; sister-in-laws, Pat (Ron) Chancellor of Muskegon, Judy Witham of Muskegon, Betty McKensie of Grand Haven, and several nieces and nephews. A memorial service will be held 11:00am Thursday October 12, at Fellowship Reformed Church, 2165 W. Lakewood Blvd, Holland and a luncheon will follow. Memorial contributions can be made to the American Diabetes Association - 2451 Crystal Drive, Suite 900 Arlington, VA 22202 & the American Heart Association, 3816 Paysphere Circle, Chicago, IL 60674. Services are being provided by the Dykstra Funeral Home - Northwood Chapel.